FC Cincinnati’s Goalkeeper Mitch Hildebrandt talks about his thought process on dealing with penalty kicks. 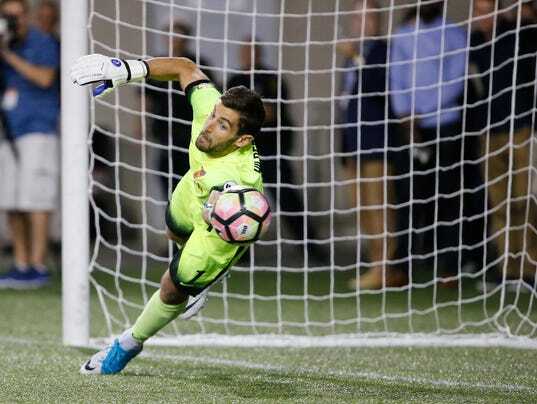 Performances like the one Futbol Club Cincinnati goalkeeper Mitch Hildebrandt produced in the club’s latest Lamar Hunt U.S. Open Cup triumph are deliberate acts. Luck helps, but that doesn’t account for all the ways Hildebrandt stymied and dismantled the attack of heavily-favored and high-powered Chicago Fire SC of Major League Soccer in Wednesday night’s Round of 16 victory. FC Cincinnati advanced to the U.S. Open Cup quarterfinals with a 3-1 win in penalty kicks. They’ll next play Miami FC of the North American Soccer League (NASL) July 12. Will injuries force the Mets to trade for starting pitcher?